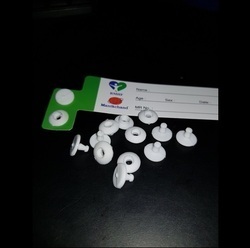 Pioneers in the industry, we offer patient identification bands, identification wristband, id band and paper wristband from India. Patient Identification Bands, it is compulsory for all patients for identification of the patient. We are now manufacturing these bands for Hospitals as well as events. The button is manufactured at our end with virgin material and we assure best printing quality as well as the best quality of button. 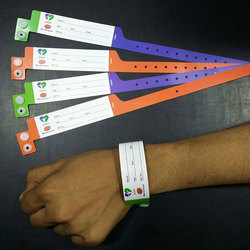 Identification Wristband, it is compulsory for all patients for identification of the patient. 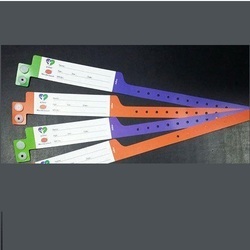 We are now manufacturing these bands for Hospitals as well as events. The button is manufactured at our end with virgin material and we assure best printing quality as well as the best quality of the button. ID Band, it is compulsory for all patients for the identification of the patient. We are now manufacturing these bands for Hospitals as well as events. The button is manufactured at our end with virgin material and we assure best printing quality as well as the best quality of the button. Looking for “Patient Identification Bands”?